Start your real estate career, become a broker, and maintain your real estate license with our continuing education courses. 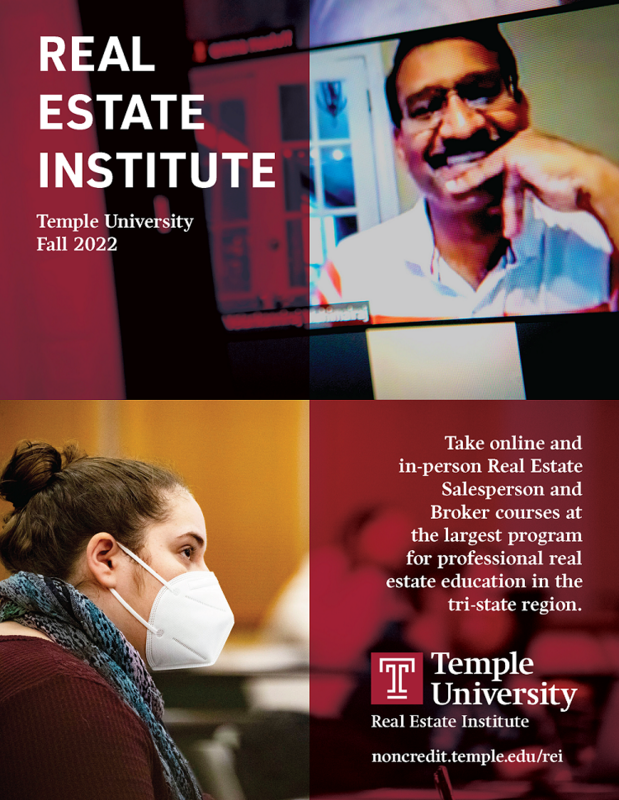 The Real Estate Institute is the largest program for professional Real Estate education in Greater Philadelphia. Our courses prepare real estate salespeople, brokers, appraisers and property managers, as well as people simply interested in expanding their real estate knowledge. Our faculty are real estate industry experts and they are eager to share their extensive professional knowledge. They understand current trends, what’s happening in the marketplace, and most importantly are skilled educators who know how to convey information and generate discussion. Register now to start your real estate career. 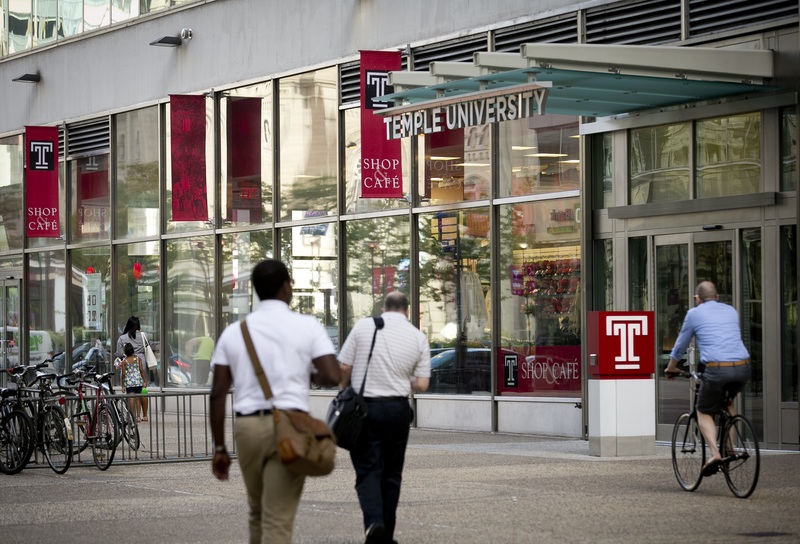 The Summer 2019 Semester begins April 27th for Real Estate Salesperson and Broker Courses. Register and complete (Pass) the two required courses: Real Estate Fundamentals and Real Estate Practice. The total pre-licensing course requirement is 75 hours. Tuition for each course is due upon registration. Both pre-licensing courses must be completed prior to taking and passing the Pennsylvania State Real Estate Salesperson Exam. Once you pass the exam, you may apply for your Real Estate Salesperson's License through any PA Real Estate Broker. Register for Online classes. (Tuition $440). A Real Estate Salesperson/Licensee must work in the real estate business a minimum of 3 years while completing 240 hours of required broker approved courses prior to taking and passing the PA Real Estate Broker's exam. All of our broker courses are approved by the PA Real Estate Commission for both broker credit and also meet the full CE course requirements for license renewal. Check out the Broker's classes to see what classes to take to get your Broker's License. If you have completed and passed (if applicable) your real estate course, you can request a transcript online.